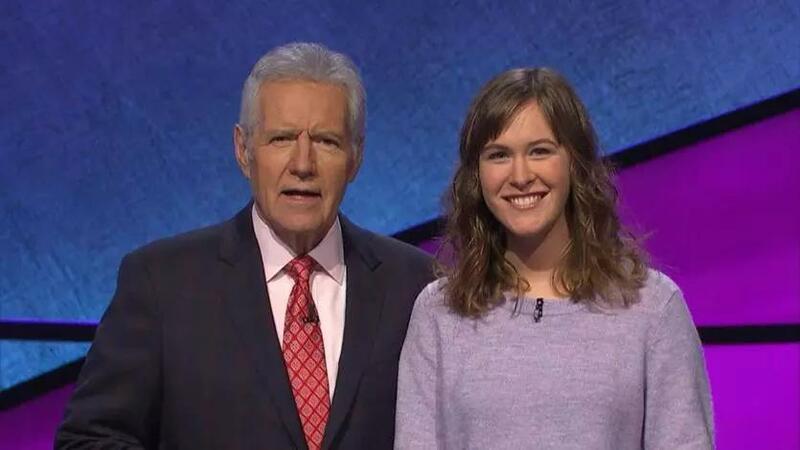 Boston Globe journalist Carrie Blazina walked away with an extra $2,000 in her pocket after placing second on Thursday night’s episode of the popular game show ‘Jeopardy!’. Andrew Kung, a graduate student from San Francisco, was crowned the new Jeopardy champion with $21,000 in prize money, ending the four-night winning streak of lawyer Jackie Fuchs. Only the champion takes home the prize money earned during the game. Runner-ups are awarded consolation prizes, however. Since Blazina placed second, she won $2,000, while Fuchs got $1,000. For much of the game, Blazina cruised through the clues in categories such as “Say It in Latin,” “Words of Science,” “Into the Spiderverse,” and “State Constitutions,” among others. She racked up $1,000 on the very first question, correctly answering “What is Mea Culpa?” to a clue about the Latin term for repentance. She correctly answered “What is The Middle” to a clue about the name of the television show actor Mike Heck played the father in. That bumped her winnings to $4,600. After the first round, Blazina, 26, was “safely ensconced” in second place, host Alex Trebek announced. In Double Jeopardy, Blazina correctly answered “What is 911?” “Who is Robert Frost?” and “Who is the Very Hungry Caterpillar?” among other questions. When it was time for “Final Jeopardy,” Blazina her winnings totaled $9,200. It wouldn’t last for long. The correct answer: “Requiem” in D minor.